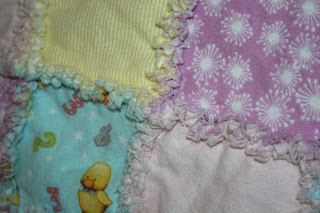 I made these as part of an order for three ragged baby blankets, one boy, one gender neutral and one for a girl. The boy and neutral ones I made today, the baby girl one I made a while ago and had it listed in my Etsy shop, I decided to use it for this order. 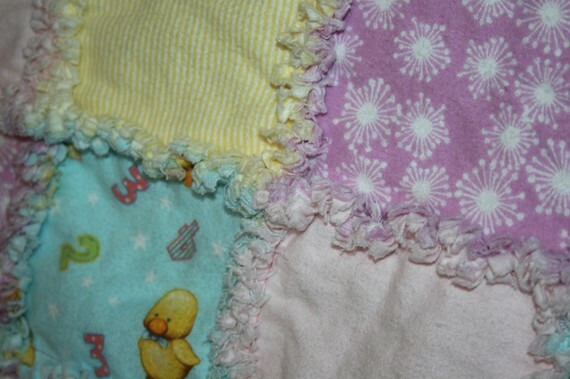 These blankets will be part of a raffle to raise money for the Coulee Birth Network. It is a non profit org. connecting birth professionals and their services to women and families in Western WI, W MN and NE IA. They have Professional Labor Companions, childbirth education classes, breast feeding groups and grief support. They are not ragged yet, but you get can pretty much see what they will look like.